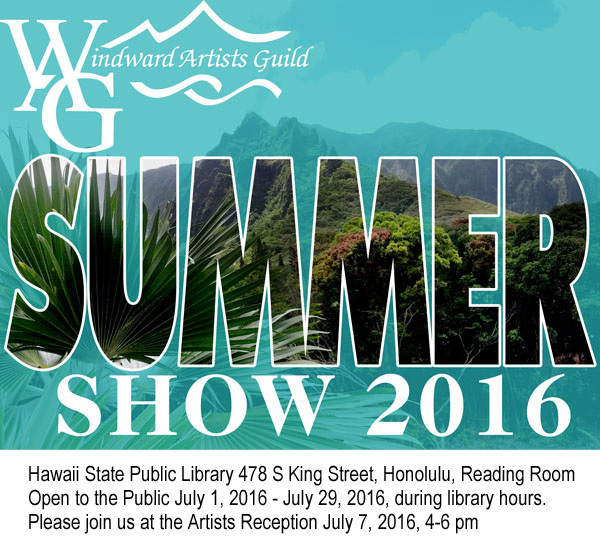 You are invited to come enjoy refreshments and see the Windward Artist’s Guild Summer Show at the State Library at our reception on Thursday, July 7, 2016. If you are unable to come that evening, the show will be up during the month of July on the main floor in the relaxing reading room of the beautiful State Library on 478 King Street in Honolulu. 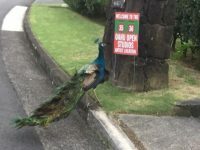 If you are driving, there is metered parking around the entire area, and underground municipal parking a short walk from the library, with entrances on Alapai or Punchbowl between Beretania and King Streets. It’s the same parking you would use for Honolulu Hale. Or there is also paid (meter) parking at Iolani Palace, but Honolulu Hale tends to be less crowded. The show features 16 artists and approximately 40 works in various media from watercolor and oil paint to fine jewelry and blown glass. 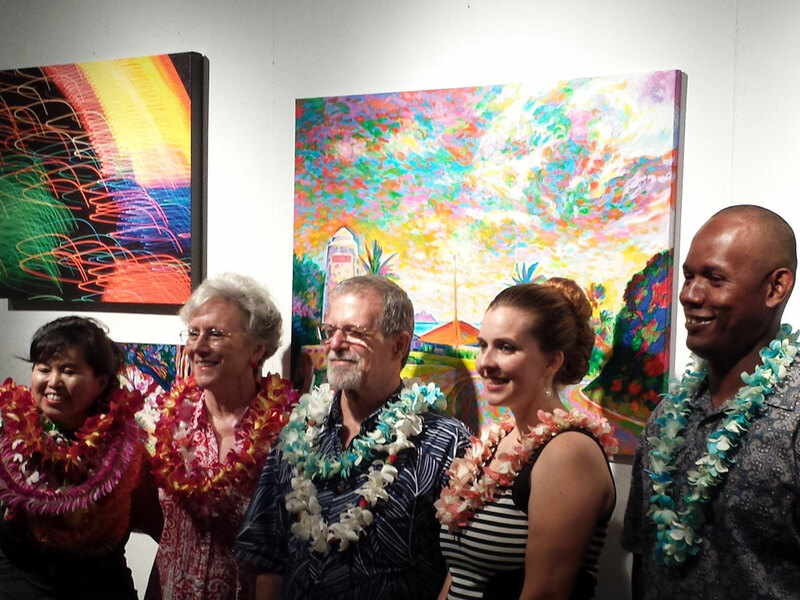 A sincere thank you to all those of you who attended Oahu Open Studios. 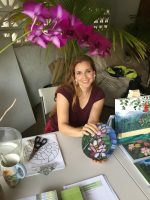 This was a wonderful year despite not being at my home studio. I was with five other talented artists at Sherree McKellar’s amazing beach house: Sherree, Mark Brown, Marti Rounds, Suzanne Barnes, and Frank Oliva were a joy to spend time with during the weekend. 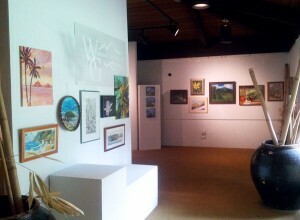 It was a busy show, but we had time during set up and breakdown to chat and enjoy each other’s company. I posted quite a lot about this at my Facebook page. Please feel free to scroll through the many photos there. 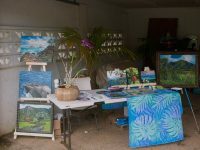 Thank you to everyone who attended the first annual Oahu Open Studios event held at my studio. 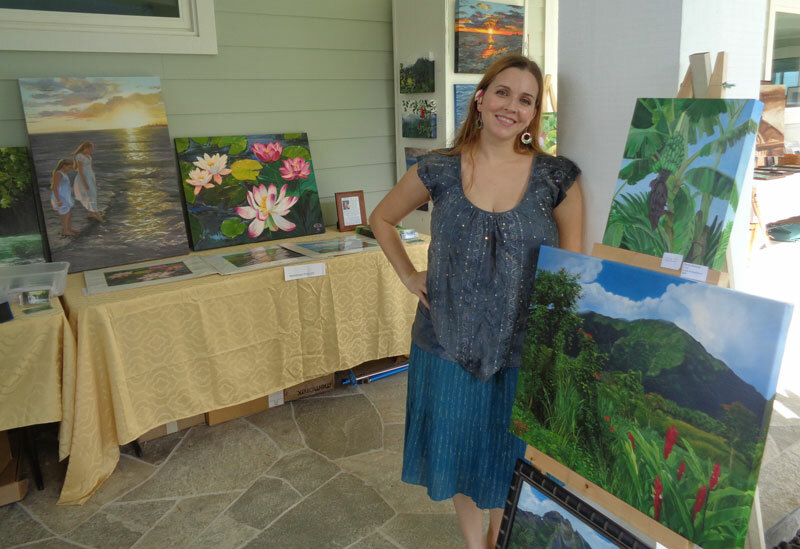 It was a pleasure to meet art enthusiasts, colleagues, and neighbors. It was also a true pleasure to present my work alongside the lovely and talented Suzanne Barnes. We had a steady stream of visitors, including our charming neighborhood peacock!